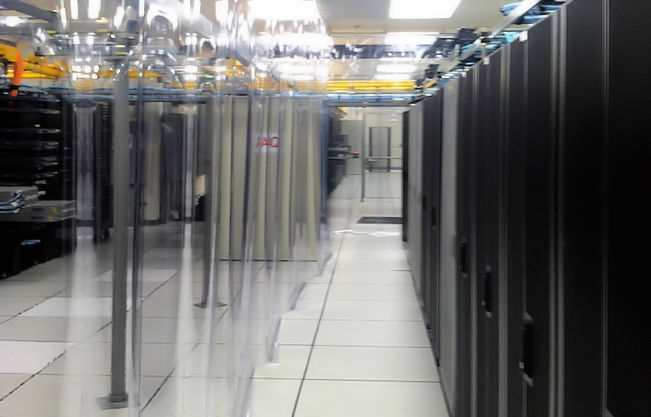 WindChill data center curtains, or soft containment, are a low cost alternative to rigid containment. Soft containment is used in both hot aisle containment and cold aisle containment. 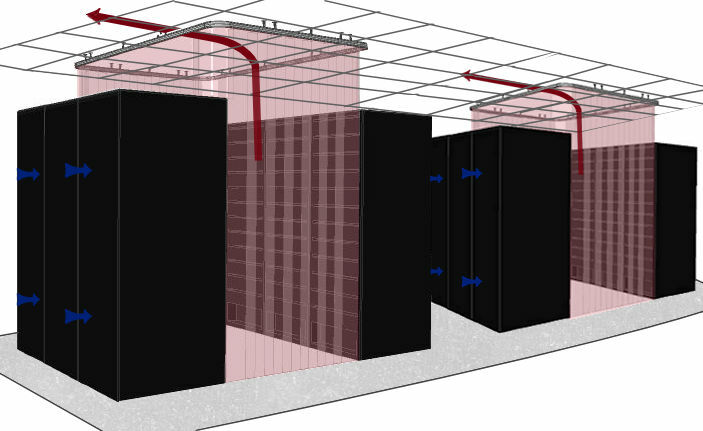 Data center curtains act as an effective barrier preventing conditioned air from mixing with hot air. By isolating the hot and cold air, hot spots are eliminated and only the hottest air is returned to the CRAC unit. This enables lower set points, help prevent down time, and can help lengthen the life of your IT equipment. Aisle containment just got even more effective and efficient with WindChill’s Thermal Wall Doors. Minimize air leaks and hot and cold air mixing with Thermal Door containment. Customized for any aisle size. WindChill Thermal Walls are a low cost alternative to rigid walls. Ideal for hot aisle above cabinet walls or creating a full length wall using vinyl curtains. Thermal walls are easy to install and cut around obstacles. All orders are custom built. Thermal wall curtains should be easy to install. WindChill custom manufactures all of our products. Before shipping, each job is precisely measured and manufactured to eliminate the need for cutting any curtain track on the job. Simply hang the curtains and snap the track together for quick and easy installation. We have standard sizes available, but can custom make any width or length to fit around any unique requirements or obstructions. Our data center curtain corner track is custom bent with a 90 degree radius corner. This enables the curtain to curve around the corners of the aisle, overlapping with other curtains to form a tight seal to a thermal wall. This provides a clean look to your solution and provides a tight seal around your entire aisle. 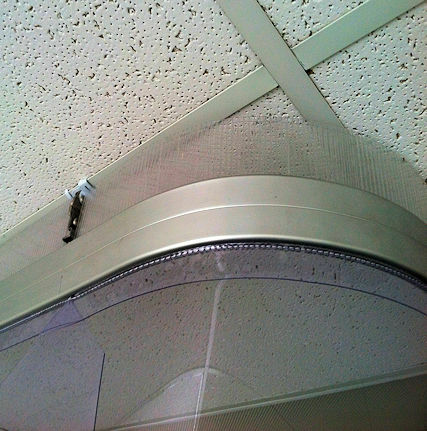 Thermal wall curtains can be designed from ceiling to floor, from ceiling to cabinet, or to fill gaps between cabinets. The flexible design of curtains easily allows server racks to be moved in and out without removing the containment. Curtains can also be cut to fit around ladder racks and other obstructions. At the joints, our curtains overlap 4 inches on each side to seal against other curtains or cabinets and walls.